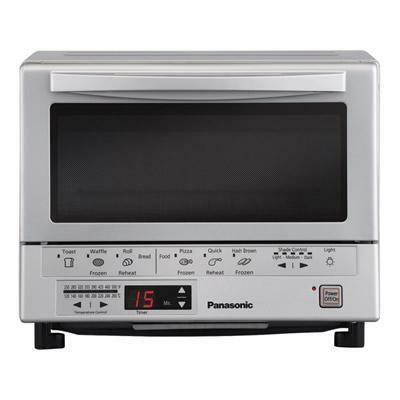 Panasonic FlashXpress™ toaster oven with double infrared heating. With just the press of a button, you can pick from one of the 6 illustrated preset buttons. 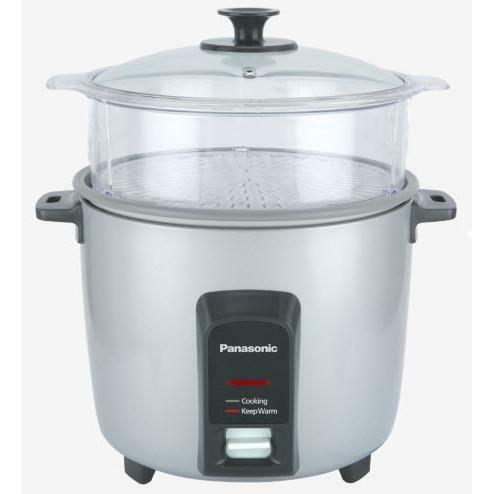 Automatically calculates the cooking time for a variety of foods. Instant heat, no preheating necessary! Far infrared heating is used to cook the outside of the food efficiently, where as the Near infrared heating is able to penetrate the food and efficiently cook the inside. The result is more evenly cooked food in a fraction of the time! 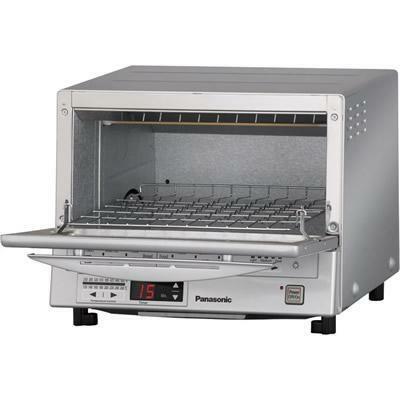 Instant heat, no preheating necessary! Far infrared heating is used to cook the outside of the food efficiently, where as the Near infrared heating is able to penetrate the food and efficiently cook the inside. The result is more evenly cooked food in a fraction of the time! With just the press of a button, you can pick from one of the 6 illustrated preset buttons. Automatically calculates the cooking time for a variety of foods:Toast, Waffle, Roll, Pizza, Quick, Hash Brown. Conveniently alerts you when your food is ready!